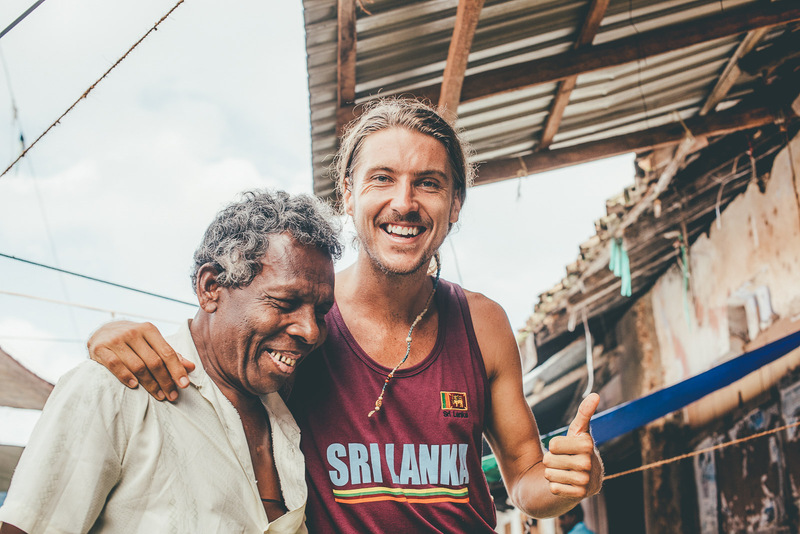 Why did you decide to travel to Sri Lanka? It sounds funny to say but I don’t feel like I chose Sri Lanka. Sri Lanka chose me. My first job here at Talalla Retreat came out of the blue and as soon as I got here I fell in love. Since then I’ve been lucky enough to travel and teach all over the country. There’ve been so many synchronicities that have guided my path. It’s a magical place in that sense. 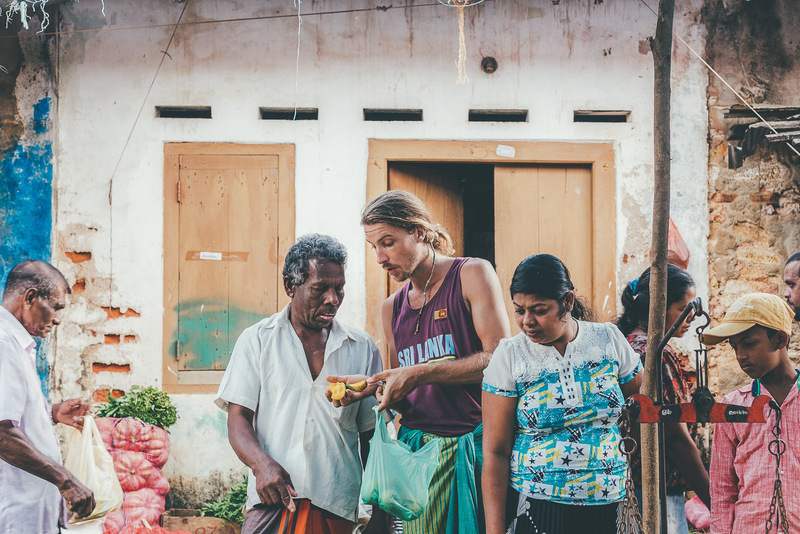 I believe that if you come to Sri Lanka with an open heart and share what you have to offer it will always take care of you. So far that has been my experience. Favourite thing about Sri Lanka? I’ve been learning the language recently. It took me a while to get started but now it’s flowing. Yesterday I learned a new phrase. Hitha hondai, it means good heart. That’s the Sri Lankan people in a nut shell. The guy who taught me that phrase had lost everything in the tsunami. Still, his eyes were beaming. We hung out for a couple of hours and he invited me to his house. A small shack with nothing but a bed. He rummaged through his bag which had about 10 items of clothing and picked out 2, a green and yellow sarong and a white button down shirt. I put them on and he gave me a hug. If that isn’t the living embodiment of a good heart then I don’t know what is. Hitha hondai, the Sri Lankan spirit. What is your yoga background? I started yoga as a college athlete in the states trying to improve my performance on the football pitch. Studying philosophy, psychology and communications I was very interested in the mind. The critical point was when I did my first silent 10 day meditation retreat. It was a jump into the deep end and it was intense. I realised that there is much more to this human experience than first meets the eye. From there I started to purify my diet, heal my body and observe my mind. Coming from an athletic background and my experience coaching football it was a seamless transition to start teaching yoga asana. Basically I just teach what I practice and what I know. What is your philosophy on yoga? Keep it simple. The simple poses done well are the most powerful. In the morning I usually teach a slow conscious hatha vinyasa. The vinyasa aspect is a fluid flow with the breath and the hatha side focuses on holding poses for a number of breaths with good alignment. In the evening I teach yin yoga which is the perfect way to wind down. In yin we hold the poses for much longer and relax the whole body. It’s important to know what your constitution needs. 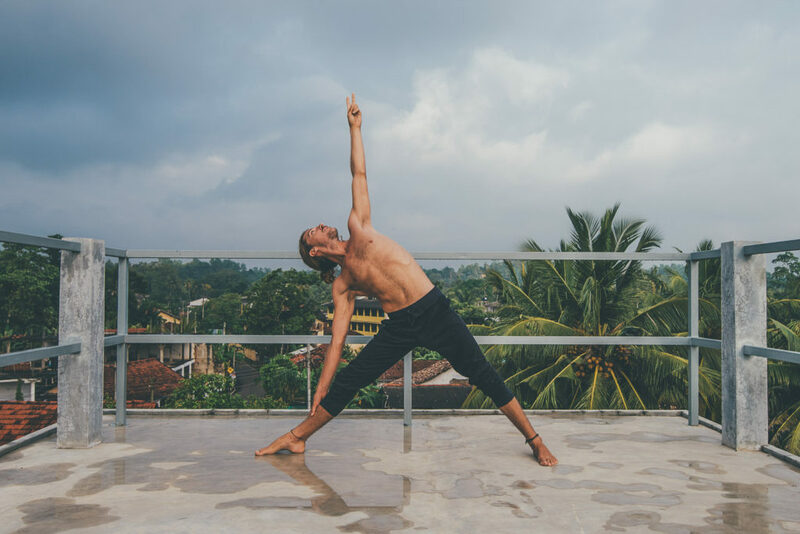 Some people naturally need something slower to relax and open the body while other people need a more powerful style to energise and build strength. Whatever style I teach there is always an element of mindfulness. To me, yoga is a moving meditation. When did you start surfing? I learned to surf last year in Hiriketiya beach. It’s an incredible little bay shaped like a horse shoe. I started on the beach break in the middle and eventually graduated to the left hander reef break that peels off the rocks. Being a yinster at heart I’m a big fan of long boarding. I just really want mellow waves to slide on. 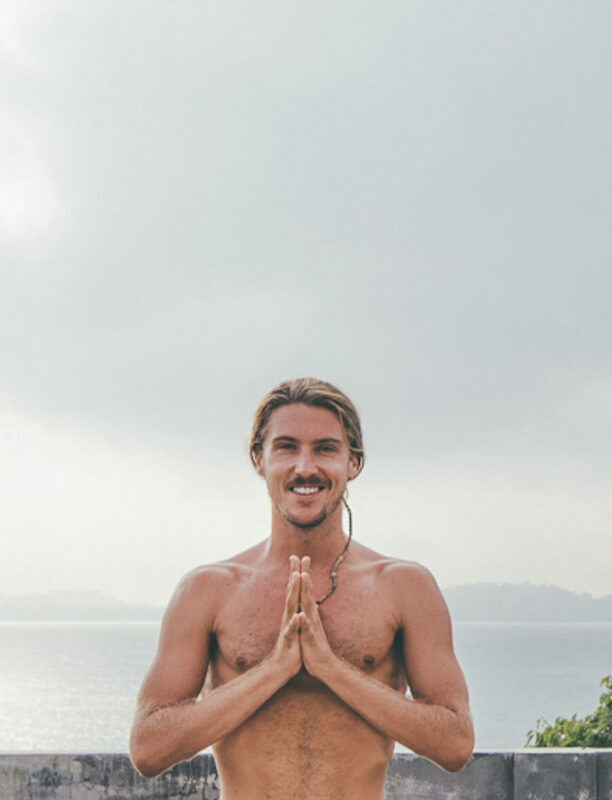 What do you think about the relationship between surfing and yoga? They are the perfect combo. On a physical level they compliment each other well. Yoga prepares the body for surfing and helps you recover after a long session so you can get back out there. Surfing takes care of yoga’s blind spots, working on endurance and strength, especially in the upper back and lats. Yoga is very internally focused while surfing gives you a real connection with nature. There’s nothing like a good vinyasa flow to prep the body for a surf session and a long, slow, deep yin to relax and recover. What do you like about working at Ceylon Sliders? 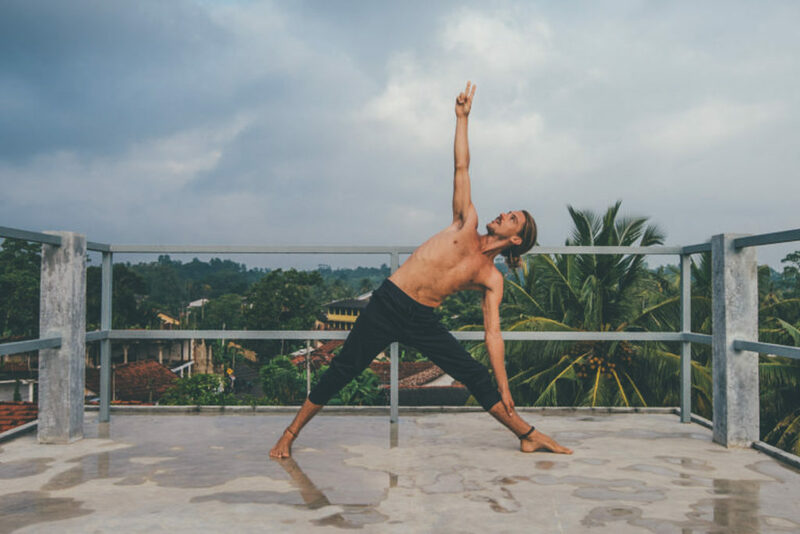 Being able to greet and farewell the sun everyday through the ritual of yoga on an epic rooftop space. Working with an inspiring group of individuals from all over the world. The chance to share my passion and live a lifestyle that most people only dream about. 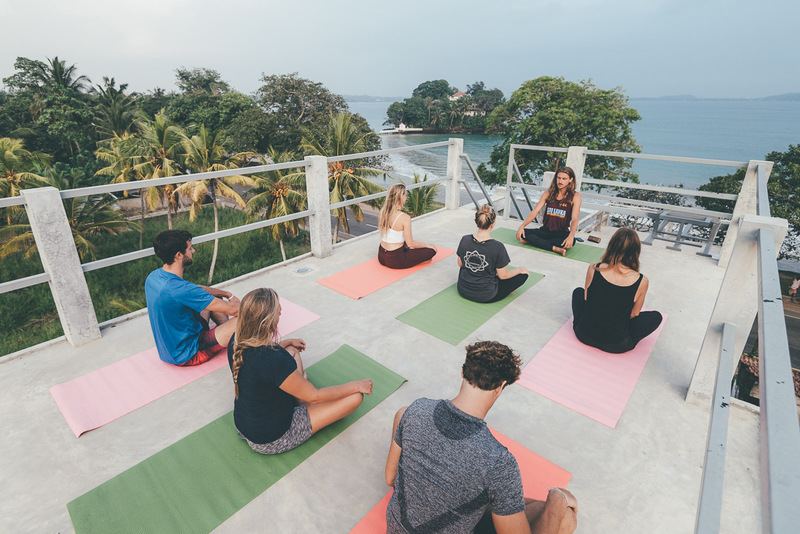 Read more about our drop in yoga in Weligama https://ceylonsliders.com/weligama/yoga/here.